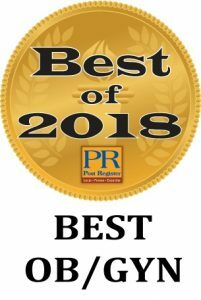 Voted best in Idaho Falls, Three Years in a Row For the third consecutive year, Rosemark Women Care Specialist was voted the best OB/GYN provider by the readers of the Post Register. After taking nominations for a variety of service categories including healthcare, Post Register readers are then invited to vote for their favorite. Rosemark Women Care Specialists was nominated and then voted as the Best OB/GYN in that specific healthcare category. “Our entire staff takes a lot of pride in their work. The entire Rosemark team from our healthcare providers to the research staff and all of our employees involved in every aspect of our office work very hard to provide the optimal experience for our patients and their families, “says Jay Seedall, Executive Director Medical Operations for Rosemark. The Post Register is the newspaper publication based in Idaho Falls with a daily print circulation of 19,000 with a daily print readership of more than 60,000. The Post Register was founded in Blackfoot in 1880 and transitioned to Idaho Falls in 1925, when J. Robb Brady, grandfather of current Post Company President Jerry Brady, purchased The Daily Post. For more information about the Post Register, visit www.postregister.com. The three certified nurse midwives at Rosemark Women Care Specialists are now approved to deliver babies at Eastern Idaho Reginal Medical Center (EIRMC). Susan Binegar, Natalie Taylor and Heather Duffey, all Certified Nurse-Midwives (CNMs), have been delivering babies at Mountain View Hospital for many years but have now been approved to also deliver babies at EIRMC. 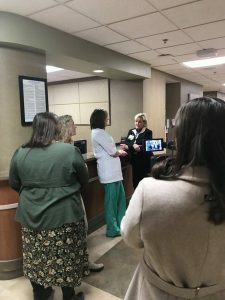 The first CNM delivery was performed on Sunday, March 25th by Natalie Taylor. According to Dr. Steve Robison, “We are always looking for ways to provide choices for our patients. Many child bearing women prefer to have a nurse mid-wife deliver their baby but until recently, Mountain View Hospital was the only choice for our patients.” Dr. Robison continues, “For many years we have been working with EIRMC to gain trust and support for Rosemark’s nurse-midwives to be able to deliver at our patient’s location of choice. We are grateful that we can now offer midwifery services at both local hospitals. ” Women who are pregnant or are anticipating pregnancy and are interested in working with a Certified Nurse-Midwives for their child’s delivery are encouraged to contact Rosemark at 208-557-2900. The Rosemark certified nurse midwives (CNMs) are all highly credentialed. The CNMs at Rosemark have earned both their bachelor’s and master’s degrees in nursing. They are advanced practice nurses (nurse practitioners) that have the added education and training to care for women in pregnancy and childbirth. While not all midwives in the US are certified nurse midwives, the Rosemark CNMs are licensed health care providers educated in nursing and midwifery at the highest level of education of all midwives. Rosemark Women Care Specialists (Rosemark) is a local women’s medical center that specializes in obstetrics and gynecology. Rosemark provides comprehensive healthcare for women of all ages. In each stage of a woman’s life, specific needs are addressed from childbirth to menopause and menopause to incontinence or osteoporosis. Rosemark has the foundation of board certified and fellowship trained physicians, certified nurse-midwives, certified family nurse practitioners and physician assistants. Other unique medical services include sexual health, aesthetics and extensive medical research studies for OB/GYN related conditions. To learn more about Rosemark Women Care Specialists, please visit www.Rosemark.Net. 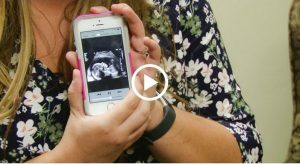 New technology makes it easy to share pregnancy photos with family and friends. Rosemark Women Care Specialists has invested in a cutting edge technology that enables patients to immediately download 3D ultrasound photos and videos to their smart phone where they can post to their social media pages like Facebook, Twitter and Instagram. 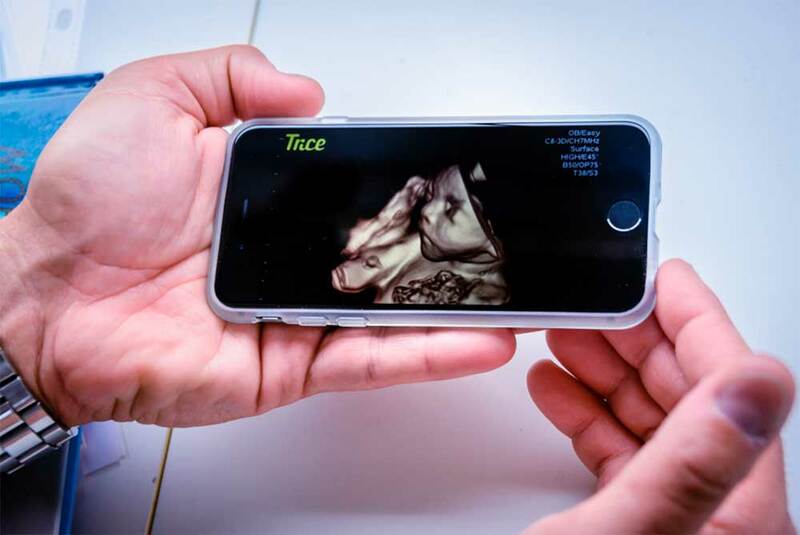 The new technology developed by Trice Imaging, Inc., enables ultrasound sonographers to immediately text or email a secure link to the digital ultrasound images and videos. Patients and proud parents can then access their ultrasound pictures for them to digitally save, print and share on social media. Historically, most ultrasounds images were printed on thermal paper and over time, the thermal paper fades and diminishes the picture quality. With this new technology, patients will have access to digital images and videos on their computer, smart phone or other devise. Rosemark has received a lot of positive feedback from patients about this new technology. They are impressed with the digital quality of the images and the speed in which they received the pictures of their upcoming arrival. “Family and friends often stay connected through social media. This technology allows excited parents to easily share the first pictures of their baby with their extended family” Jay Seedall – Executive Director Medical Operations. Rosemark offers a variety of ultrasound services including “gender checks” to 3D pictures and 4D video. The Tricify technology is compliant with all privacy and compliance standards to ensure patient privacy. East Idaho Aquarium is a 501(c)(3) non-profit organization with the mission to provide the public the experience of aquatic life around the world, creating a fun interactive learning environment where our patrons will learn through visual displays and hands-on exhibits. East Idaho Aquarium will house fresh and saltwater fish to bring awareness and education to the local community. They plan to have 3 touch-pools for the community to get their hands wet and touch, feed, and interact with the fish. They will have one freshwater touch pool with arawanas in it, another pool that will be shallow with snails, crabs, starfish, and other relatable small creatures. 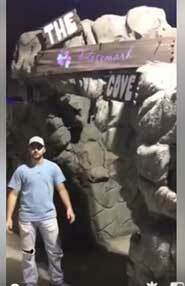 Their stingray and shark exhibits are anticipated to be very popular. 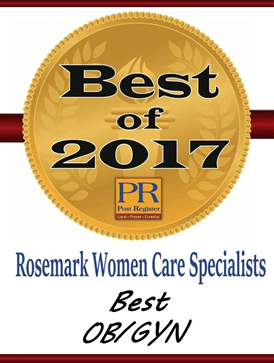 For the second year in a row, Rosemark Women Care Specialist was selected as the best OB/GYN provider by the readers of the Post Register. The Post Register takes nominations for a variety of categories including healthcare. Once the nominations are received, Post Register readers register online for the opportunity to vote for everything from favorite Mexican restaurant to shoe store. Rosemark Women Care Specialists was voted top in the OB/GYN sub-category of healthcare. “It is an honor to be recognized by the people in the area. Our providers and entire staff work very hard to meet the healthcare needs of the women in our community and their families,” said Jay Seedall, Executive Director Medical Operations for Rosemark. Amber Masse, a Family Nurse Practitioner at Rosemark Women Care Specialist, has been designated as a Fellow of the International Society for the Study of Women’s Sexual Health (ISSWSH). Amber is the first fellow in Idaho and the surrounding states including Wyoming, Utah, and Montana. The PRESIDE study suggests 44% of women of all ages experience sexual dysfunction causing a significant amount of distress. Decreased sexual interest is often multifactorial and can coexist with several other undiagnosed medical conditions. In addition, decreased desire, dryness, skin conditions, and pain can affect a woman’s interest in being intimate with her partner. Amber is qualified to assess these conditions and suggest both emotional and treatment modalities that will help women. Mrs. Masse states, “There are several new treatments and medications that can be utilized to help women that suffer from sexual dysfunction.” Mrs. Masse is also trained by the Cellular Medicine Association to administer both the O-Shot and P-Shot injections. 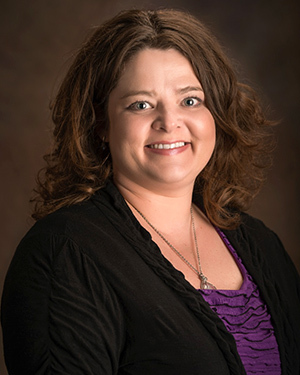 Amber Masse has been in practice for 17 years as a Family Nurse Practitioner and is Board Certified by the American Association of Nurse Practitioners and American Nurse Credentialing Center. She has provided care to women for the past 15 years at Rosemark Women Care Specialists. As a wife and mother of two young children, Amber empathizes with the specific questions and concerns that challenge women on a daily basis. Her exuberant and positive outlook on life, coupled with her honesty, compassion and sincerity, are motivating factors for her quest to enhance the lives of today’s women. For more information about Amber, visit her webpage. The ISSWSH is a multidisciplinary, academic, and scientific organization that provides opportunities for communication among scholars, researchers, and practitioners about women’s sexual function and sexual experience. They also support the highest standards of ethics and professionalism in research, education, and clinical practice of women’s sexuality, and also provide the public with accurate information about women’s sexuality and sexual health. For more information about ISSWSH, visit http://www.isswsh.org.